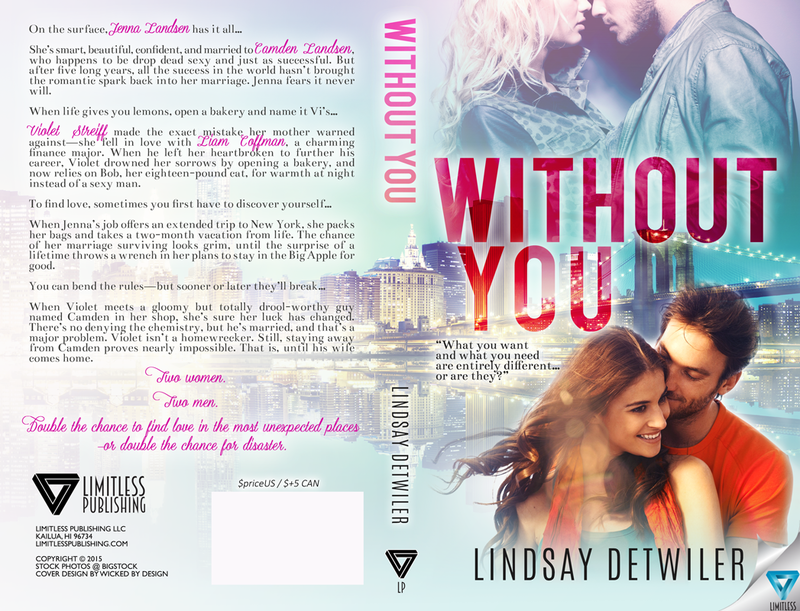 Linsday Detwiler's New Adult Romance Without You releases today. 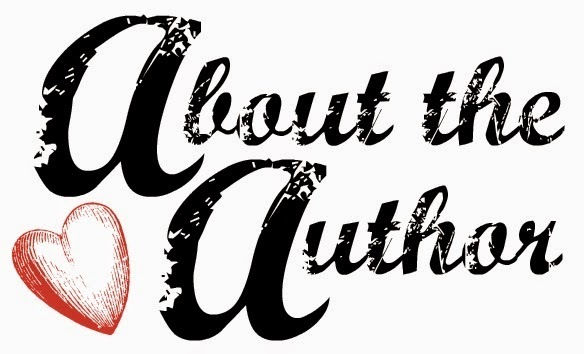 She was kind enough to share her thoughts about the writing process and a bit about her new book. 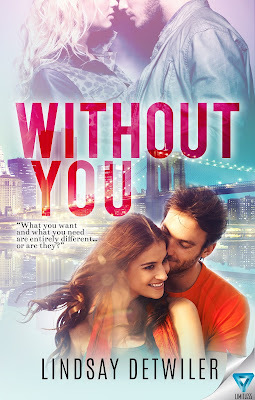 Look at the bottom of this post for a chance to enter to win an e-book copy of Without You. Following is my Q & A with her. For me, the characters typically come first. I get an idea for my protagonists, and the conflict usually comes from there. The title also comes very early on in the process. From there, I will usually do a very simple, loose outline of the major events. Sometimes, I will jot down an idea for a major event for each chapter. Mostly though, I find myself just writing. I typically just let the characters take over the story, their personalities and character traits dictating the plotline. For Voice of Innocence and Without You, I wrote the last chapter when I was about halfway through. By the middle of the novel, I have a pretty clear idea of where I will end up at the end. I think finding time to write is my biggest challenge, but it is probably the challenge for many! 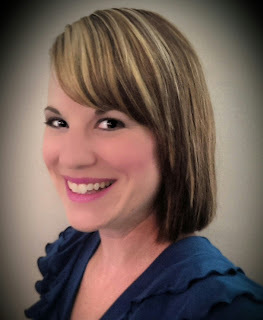 I am an English teacher as well as a writer, and I am taking graduate school courses. It can get pretty tricky to balance everything. Luckily, with summers off, I have time to catch up on my various writing projects. Getting a book published was always a pipe dream. It was something I would daydream about, but I felt like it would never happen for me. In college, I took a class called “The Literature of Health & Healing.” In this class, we talked about going after your dreams and how you never know how much time you have left. Thus, I went home from class one night and started thinking about the novel I always wanted to write. I’d always been interested in wrongful convictions. 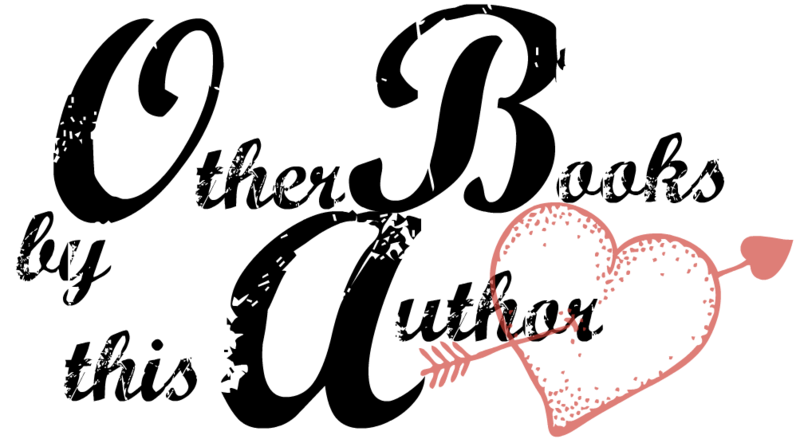 I started thinking about what a moving love story this could be, and the characters of Emma and Corbin quickly emerged. I started writing that summer but would put the draft away when classes started back up in the fall. For several years, I kept coming back to the story. Once it was finished, my husband convinced me to try to get it published. 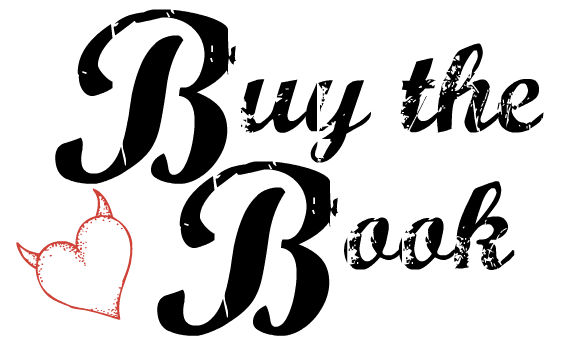 After many rejections and even an acceptance by a publisher who went bankrupt, I signed a contract with Melange Books. 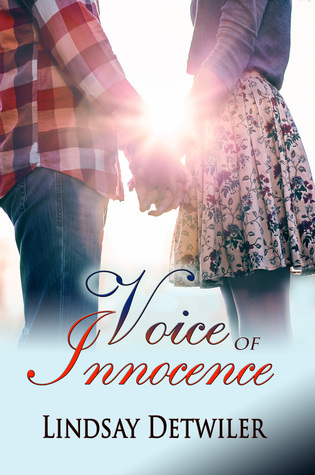 Voice of Innocence was released in February of 2015. While I was waiting for Voice of Innocence to release, I got the idea for Without You and started writing it. This past summer, I came across Limitless Publishing. I was impressed by their beautiful covers, their dedication to creating a ‘family’ of authors, and their professional team. I was so excited when I signed with them in August. It’s amazing to see my dream come true a second time, and I’m so blessed to have found such an amazing publisher. 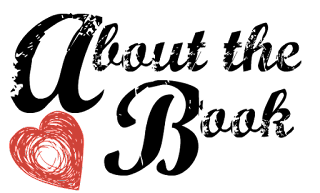 My advice is to worry only about writing a genuine, honest story you are passionate about. For me, I never really thought my work would be published. Thus, I wasn’t worried about how it would be received or how easy or hard it would be to market. Instead, I focused on the storytelling. I wrote the story because I wanted to tell my characters’ stories, not because I wanted to be rich or famous. I think if you write from a place of honesty, if you write like no one’s going to read it, your story becomes much more powerful. I think people can sense the genuine quality to it and will respond to that. So far, I’ve been sticking with the romance genre just because this is the genre I like the most. I read a lot of romance, and I watch movies in the genre. It’s just always been my favorite, so I guess it makes sense that this is what I’m drawn to as a writer. I would eventually like to branch out to young adult romance. My work as a high school teacher lets me see what they like in a book and what interests them, so I think it could be a good genre for me eventually. What was the theme you wanted to convey? Both women struggle with doing what’s right and figuring out what they want. Overall, I wanted to portray the realistic side of marriage and love, showing that nothing in life is simple.